If you’re lucky enough to live in a property that has old floors I envy you. I know they take a lot of upkeep but they look can look amazing and can really add to the charm and character of your home. Many years ago we lived in an old Victorian ground floor flat which had an original tiled hallway. When the tiles had to be removed we were so attached to them we lifted them and brought them to our new home. Twelve years later we still have them stored in an old dustbin in the shed ready for a new project. There is something magical about original features of older homes that makes me want to salvage and reuse them wherever possible. Some of you may be lucky enough to live in a home with real wood floors. Some of you may have invested in real wood in the past or are thinking about doing so for your current renovation or makeover projects. Some may have inherited old wood floors that need some work or looking after. Whatever the situation it’s well worth hanging onto those features for as long as you can. I’ve talked before about the pros and cons of having hardwood floors and granted wooden floors aren’t for everyone. But for a modern home they are an ideal choice. Longlasting and aesthetically pleasing they bring a certain level of quality to your makeover or room renovation. If you’re lucky enough to discover real wood floorboards under your old carpets and you want to bring them back to life, it is possible and can add to the value of your home. 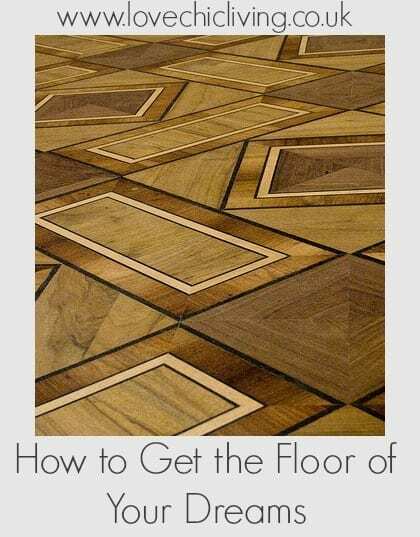 If you’re worried about the upkeep or the restoration of real wood flooring there are lots of ways you can go about it. You’ve seen it done on DIY programmes no doubt, or maybe you know someone who’s tried it, but if you feel like giving this a go yourself it’s certainly possible. Floor sanding can be a messy job, but as long as you’re prepared you’ll be fine. Clear the room, seal the doors and windows and make sure you were suitable clothing and a mask. Prepare the floor too and remove any high nails and screws. Then give yourself plenty of time; you’ll need to be thorough. Getting a great finish with your floor sanding is essential for a beautiful end result. Once sanded and cleaned, you can apply your colour or stain and then varnish. As I say, allow plenty of time for the floor to dry before you use it as you don’t want to spoil all of your hard work. If the DIY approach isn’t for you then consider getting in a professional Floor Renovation company. I have a friend who restored her living room parquet floor not long ago and the result is just gorgeous. Look around for a UK wide floor sanding company in the first instance, to help with recommendations and trust. Then ask to see their portfolio or previous work. Having peace of mind when you employ tradespeople to do a bigger job like this is essential. 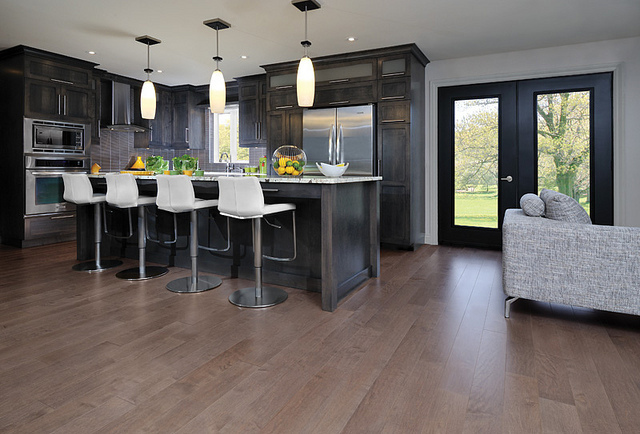 If you want to lay a brand new hardwood floor as part of your renovations or for a room makeover it’s a good choice. Consider the level of your own DIY skills before you decide how to tackle the job. If you want to do it yourself maybe ask a friend to help; it’s a big job and having assistance will make it easier. If it’s not for you don’t be too proud to call in the professionals.